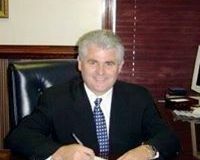 Post Tagged with: "Russell Fry"
We are seeing a changing of the guard in Republican politics in Horry County. The last election cycle brought some new faces to the fore as some of our older incumbents chose to retire. That trend is continuing in 2016. I asked my good friend and former television partner John Bonsignor to help me produce eight thumbnail sketches of some up and coming office holders and candidates in the Republican Party. The Republican party is beginning to welcome with open arms, into the political arena, young, talented, and desirable new faces to replace their old guard. As many of the elected old timers, having been in office for many years, feel it’s time to move on and give way to the new blood of talented candidates coming up. Jeff Johnson – completing his first term as representative for SC House District 58, Johnson has consistently supported small government, conservative issues. He is a strong believer in family values and believes the state has an obligation to maintain its existing infrastructure that is so vital to small business. Heather Ammons Crawford – finishing her second full term as representative for SC House District 68, fiscal responsibility, pro life and second amendment issues are at the top of her goals. Ammons Crawford is also South Carolina National Committeewoman for the Young Republican National Federation engaging young people across the country. Tyler Servant – representing Horry County Council District 5 since January 2015, Servant seeks to bring new and innovative thinking to Horry County Council including waste cutting plans. He looks hard at road improvements needed in District 5 and has been successful in acquiring a federal grant for beach renourishment on the South Strand. Russell Fry secured election to SC House District 106 in Tuesday’s special general election. Unopposed on the ballot, Fry captured 438 votes of the 447 votes counted with the remaining nine being write-in votes. Fry’s election was a foregone conclusion after he won an August 18, 2015 special primary runoff election over Horry County Council member Tyler Servant by 1,736 votes to 1,166 votes. Fry is scheduled to be sworn into office by SC House Speaker Jay Lucas at the Surfside Beach Town Council Chambers Saturday September 19, 2015 at 4 p.m. The special election was to fill out the unexpired term of SC House District 106 Rep. Nelson Hardwick who resigned from office in the spring. Fry will be representing the citizens of SC House District 106 when the General Assembly resumes business in January 2016 for the second year of the current legislative session. All House seats will be up for election in the November 2016 general election. Russell Fry claimed the SC House District 106 Republican nomination yesterday in a rout over opponent Tyler Servant. The final vote totals saw Fry with 1,736 votes (59.82%) to Servant’s 1,166 votes (40.18%). Fry’s name will be the only one on the ballot in the September 15, 2015 special general election for SC House District 106, which makes him a virtual shoo-in to be the newest member of the SC House. Fry will serve out the remainder of Nelson Hardwick’s unexpired term and be up for re-election in 2016. Fry thanked the many campaign volunteers who worked through the summer heat to help him win the nomination. Fry, who has been very active in the local Republican Party, ran an excellent grassroots campaign in his first attempt at elected office. He nearly doubled his margin of victory over Servant from the first round of primary voting. Servant’s loss means he will continue as the Horry County Council member for District 5, a seat he has held for only seven months. Therein lies the problem with the Servant candidacy. It is extremely difficult to go to the voters twice in 12 months asking them to elect you to different offices. It gives the impression that you are in politics for yourself only. Any campaign consultant worth his fee would have discouraged this candidacy. The special Republican primary election for SC House District 106 has taken some absurd turns in the past two weeks. The Republican primary runoff between Russell Fry and Tyler Servant will be held Tuesday August 11, 2015 with the winner gaining the nomination and almost assured election since there will be no other candidates on the ballot. A Facebook post followed by an attempt to turn this post into a credible story saw Fits News question whether the Confederate flag would play a part in this election. Susan Chapman claimed to change her preference from Russell Fry to Tyler Servant because Fry said he would have voted to take the flag down while Servant said he would have voted for a referendum on the flag. Evidently Chapman prefers a candidate who passes the buck to one who can make decisions. I don’t pay any attention to what Chapman says, but, does this mean she no longer supports Lindsey Graham who was also outspoken about the flag coming down? Then, questions about Servant’s legal residence and his affinity to dodge live forums and questions emerged. According to a report in the Sun News, Servant claims his residence as a house that has been rented to tourists for 56 days over this tourist season. Attempting to explain the situation, Servant was quoted in the story as comparing his situation to legislators spending several nights a week in Columbia during the legislative session. Oh really – are all the legislators renting out their houses each week while they are gone? Cam Crawford swept through the special general election for Horry County Council District 6 Tuesday. Crawford, who was unopposed on the ballot, gathered 240 of the 250 votes cast. Rumors of a write-in campaign to challenge Crawford did not pan out as only eight write-in votes were cast. Crawford can now be sworn into office in time to attend the next scheduled Horry County Council meeting on August 18, 2015. This election brings council back to full strength, at least for the time being. In other local election news, Republican runoff candidates Russell Fry and Tyler Servant are scheduled to face off in a debate Thursday August 6, 2015. Fry and Servant will be opposing each other in a special Republican primary runoff election net Tuesday, August 11, 2015, to see who will be the Republican nominee in the SC House District 106 special general election scheduled for September 15, 2015. Fry led the first round of primary voting last week with 1,152 votes to 851 votes for Servant who finished second. The winner of the runoff election will be the only name on the special general election ballot as there are no Democratic candidates in the race. The South Strand Republican Club will be hosting tomorrow’s debate. It will be held at the Horry County Recreation Center in the South Strand government complex on Scipio Lane. Russell Fry won the first round of the special Republican Primary for SC House District 106. Fry gathered 1,152 votes for 44.88 percent of the votes cast. Tyler Servant, Horry County Council District 5 representative, was second with 851 votes or 33.15 percent. Roy Sprinkle finished in third place with 374 votes, 14.57 percent and Sam Graves had 190 votes for 7.4 percent of the vote. Fry and Servant will face off in a special primary runoff in two weeks to see who will gain the Republican nomination and only name on the ballot for the September 15, 2015 special general election as the Democrats have no one in the race. Fry, in his first attempt at elected office, said he was in complete disbelief when the returns started coming in and he was leading in the vast majority of precincts reporting. For Servant, it is the first time he has finished outside of first place in his short political career. He finished first in the primary voting for Horry County Council District 5 last June and won the runoff. He was unopposed in the general election. Servant only assumed his county council seat January 1, 2015 and already he is looking to move on. Maybe he is finding out when you ask people to vote for you, they don’t expect you to come back after only seven months in office looking to get elected to something else. One would think his political consultant and other advisors would have warned Servant that jumping into one race after another, as opportunity appears to present itself, makes it look like he is more interested in himself than the citizens he purports to represent. We’ll see in two weeks. Voters on the south end of Horry County will have special elections at least the next two and probably three Tuesdays. Beginning tomorrow, voters in House District 106 will get their first crack at selecting a Republican nominee to replace Rep. Nelson Hardwick who resigned in the spring. Russell Fry, Sam Graves, Dr. Roy Sprinkle and recently elected Horry County Council member for District 5 Tyler Servant will vie for the Republican nomination. There are no Democrats or third party candidates in the race. If no candidate receives 50 percent plus one vote from the voters who show up to the polls, a runoff election among the top two vote getters in the House District 106 race will be held Tuesday August 11th. In between those two dates, the special general election for Horry County Council District 6 will be held Tuesday August 4th. Republican nominee Cam Crawford will be the only name on the ballot, but we are hearing rumblings of a possible write-in vote campaign in a stop Crawford effort. Write-in campaigns are difficult in the best of times, but voters who support Crawford should get out to the polls next week. Voter turnout has been exceptionally low in the special primary summer elections. The District 6 primary saw 7% of eligible voters go to the polls. Only a few hundred votes are needed to be elected in any of these races. 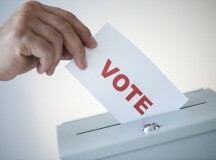 If you are a supporter of any of the candidates, be sure you make it to the polls. It is this type of low turnout special election where one vote can make a difference. Fry and Servant will face off in a primary election runoff in two weeks. The South Strand Republican Club is hosting a candidate forum for the four candidates in the SC House District 106 special election. The forum will take place at the Horry County Burgess Community Recreation Center on Scipio Lane beginning at 6 p.m. Tuesday July 21, 2015. The first hour will consist of a social hour where you can meet candidates informally. Questioning will begin at 7 p.m. This is another opportunity for House District 106 voters to see and hear the four Republican candidates who filed for the special election Republican primary prior to voting. 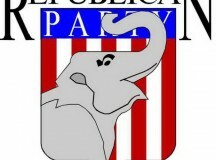 The four candidates who have filed for the special Republican primary are Russell Fry, Sanford Cox “Sam” Graves, Tyler Servant and Dr. Roy Sprinkle. No Democratic candidates filed for the vacant seat. Voting in the special primary election will be held Tuesday July 28, 2015 with a primary runoff Tuesday August 11, 2015 if no candidate garners 50% plus one of the votes cast. Former Horry County Council member Carl Schwartzkopf will be acting as the moderator of the forum. Questions will include both state issues and legislative delegation coordination with local governments so Horry County citizens are not forgotten in Columbia. Special elections, especially in the summer months, can turn on a few votes. It is important to hear the candidates’ speak on their qualifications and the issues they consider most in need of addressing at the state level.